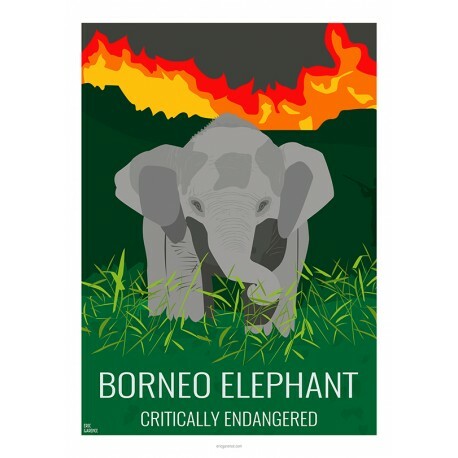 The Borneo elephant is a dwarf elephant that only exists on the island of Borneo, certainly the offspring of imported elephants. 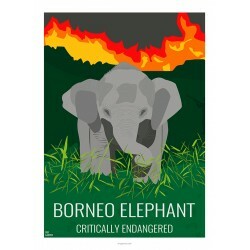 Like the orangutan, the dwarf elephant of Borneo is another great victim of the palm oil industry, its inhabitants are burned, ravaged, they are intoxicated by the smoke, chased by poachers and to top it off, he is hunted by farmers who see him as a pest trampling his plantations. The most "cute" elephant may not see the next century.